It’s that time of year! Back to… The Shack! The only school we can reference here would be Old School, and Radio Shack, with its 23 local new interactive remodeled stores is insisting that it is — quite literally — “brand” new. 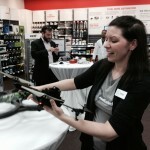 “These new [stores] are really about the gadgets you just won’t find everywhere else… things you didn’t even know you needed,” one Radio Shack representative shared with us. And that’s just what we found. Here are our ten fave finds in store now! service for mobile devices. 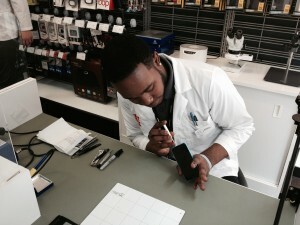 Cracked phone screens, locked screens, water damage, missing buttons… you name it, diagnosed and repaired in-store in sometimes as little as an hour. An interactive speaker wall. 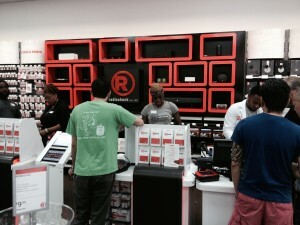 Shop and compare different speakers using music installed on in-store tablets. You — and everyone else in store — will really hear the difference between all of the industry’s audible offerings. And now seven of our favorite finds in store… you’ll want them all! 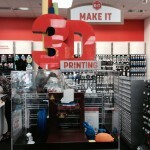 RadioShack brings 3D printing to the masses — well, those who can afford its $1399 price tag! (We hear a new brand coming to RS stores soon may retail for closer to $600.) Don’t understand how 3D printing works? 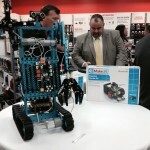 Walk into a Radio Shack store to see a live demonstration… and you might just walk out with a machine to start your own little plastic production empire. 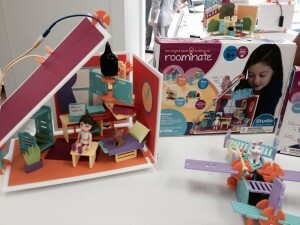 And make sure the girls get involved with female friendly toys like Roominate, the DIY Wired Dollhouse Kit that inspires girls in engineering!